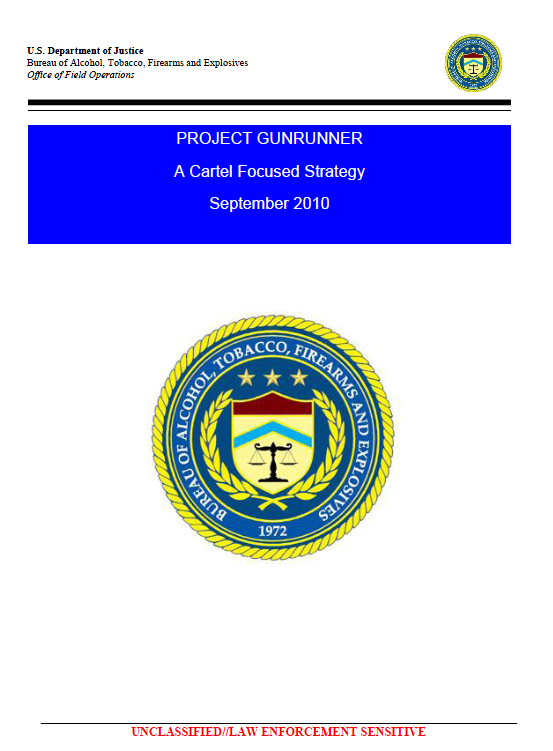 Through analysis of Mexican crime gun traces and other intelligence data, it has been determined that the Gulf, the Zetas (once aligned with the Gulf Cartel), and the Sinaloa cartels are the criminal organizations most responsible for acquiring firearms in the United States to support their drug trafficking operations and where ATF can potentially have the greatest impact. Therefore, ATF Southwest border enforcement operations will place particular emphasis on the investigation of firearms and explosives trafficking operations organized, directed, and financed by these particular cartels. This approach requires conducting our border-related firearms and explosives investigations in a more creative and comprehensive manner by fully incorporating our agency’s regulatory, investigative, analytical, technical, and legal capabilities and resources, as well as those available from other law enforcement agencies, particularly DEA. At the heart of this increased emphasis on cartel focused investigations is greater use of the Organized Crime Drug Enforcement Task Force (OCDETF) program and intelligence capabilities available from the El Paso Intelligence Center (EPIC) and the DEA Special Operations Division. Recent changes to OCDETF program policy encourage the use of OCDETF in firearms trafficking cases provided there is a nexus to high value drug trafficking targets. Sometimes overlooked in our efforts to suppress firearms and explosives trafficking across the U.S.-Mexico border is that a key component of Project Gunrunner is the investigation and suppression of drug related border violence. ATF has been involved in a number of successful border violence enforcement initiatives, including those designed to combat gang violence, kidnappings, and home invasions fueled by the presence of drugs trafficked from Mexico and/or perpetrated by gangs affiliated with Mexican drug cartels. Examples include ATF participation in OCDETF strike force groups in Houston and Phoenix, and ATF’s Project Gideon, a proactive home invasion/robbery undercover scenario targeting armed violent offenders and criminal groups. These efforts should continue and be expanded as part of this revised strategy. Related to our efforts to suppress border related violence is our Violent Crime Impact Team (VCIT) initiative. Our VCIT initiative appears prominently in the ONDCP National Southwest Border Counternarcotics Strategy. VCITs are designed to proactively target the persons and gangs most responsible for firearms-related violent crime in select neighborhoods or sections of communities experiencing an increase in such criminal activity. VCIT groups have been established in thirty-one locations, including Houston and Laredo, Texas; and Tucson and Mesa, Arizona. Integration of our gang enforcement activities with the drug-related border violence reduction component of our Gunrunner strategy is essential to achieving our strategic goals. 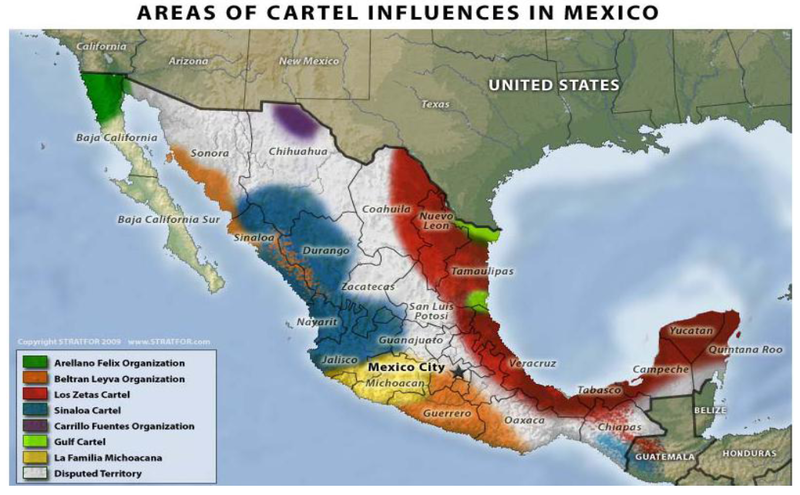 Recent reports issued by the National Drug Intelligence Center (NDIC) and the National Gang Intelligence Center (NGIC) reveal a growing association between U.S.-based gangs and Mexican drug trafficking organizations. Mexican DTO’s are increasingly using this association to support their drug and firearms trafficking operations. According to the NDIC, gangs recruited by DTO’s to transport and distribute drugs are increasingly being used to acquire and transport firearms on their behalf and to protect their drug shipments. Some of these U.S.-based gangs have known associations with a number of Mexican cartels including the Gulf, Zetas, and Sinaloa cartels.